Thanks for the 24-6 commitment and for sharing this experience! Walt: Appreciate your encouragement. And enjoying your writing. I’m inspired. thanks for sharing this, and for your compelling write up. Certainly reducing human consumption is an immediacy in terms of action, but so is the need to gradually reduce our own numbers. Regardless, I like what you say and how you present it. 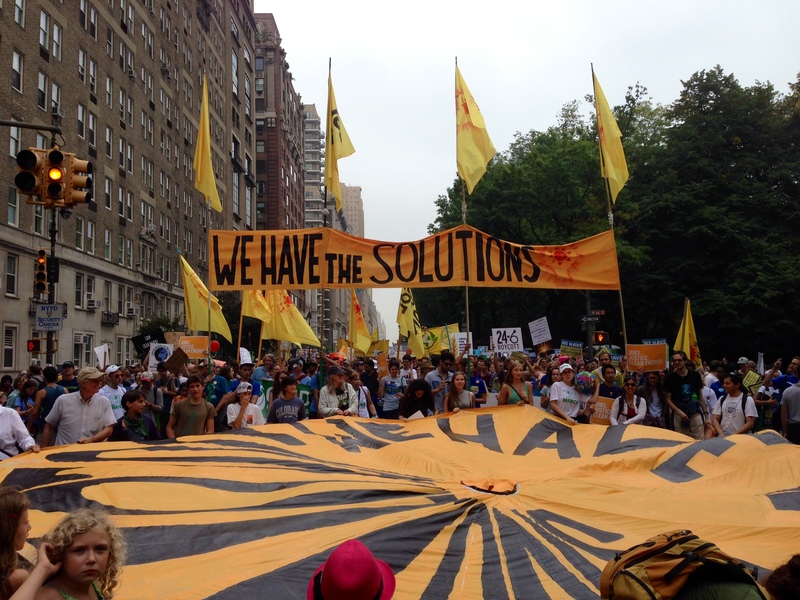 Thank you for reading my thoughts on the People’s Climate March. Your question about population is appropriate and very relevant to climate and ecosystem collapse and my indirect intent of creating 24-6. The short answer is you’re right. The long answer is more complicated. So thank you for the question and apologies for all the ideas it brings up. I’m not trying to be smart (maybe I am — embarrassingly so) but I’m not really expecting to change the entire world’s mind. Your timing is good too. Yesterday I went to the Statue of Liberty to help draw a symbolic red line in concert with people around the world to say now that the world leaders agree on the problem to hold them, each in their own way, to their promises. It’s been said, “When the people lead the leaders will follow.” and that’s pretty much how the Climate Resistance movement is accomplishing a counterweight to, what I call, a liquidation sale of our planet. In Paris, flowers were laid on a red line in memorial to lives lost already due to climate related events. As we boarded the ferry to leave Liberty Island, that question of a reduced human population came up in conversation from a fellow post-WWII baby-boomer. The young woman working with 350.org walking with us related where in the world birthrates exceed or fall below replenishment. It is a complicated subject but essentially these are the poorest and least educated regions of the “developing” world. Africa, parts of Asia and the Mid-east. So the problem seems to correlate with opportunity and education. (But I’m no expert). For me it’s important is to ask the next question; How do we reduce world population? But first, according to a 2011 Union of Concerned Scientists analysis, Per Capita Carbon Dioxide Emissions from the Consumption of Energy (Metric Tons of Carbon Dioxide per Person) points to the US, China, Australia and Saudi Arabia as the prime emitters. Would we look there? It all can get very philosophical now and the prescriptions become even more bizarre. In China after having a generation of one-child per family limit, there is now a great number of entitled adults that had doting parents and grandparents and no experience of learning to share with a sibling. Or, a less coercive problem exists of low birthrate countries having a shortage of young to support an aging population. Euthanasia comes to mind, especially to end suffering, but for the most part that seems a hard-hearted way to treat someone who nurtured you to adulthood. Some cultures practiced Senicide. Some still do. Most tragic or sad of all, is suicide. That life is too hard to bear. Obviously there are 7 billion individual stories that a project like voluntary population reduction would produce. Then there’s always war, plague, disasters to shake us off the planet. The solution employed so far. At a film presentation at the Smithsonian Museum of the American Indian – Conversations With the Earth, Indigenous Voices on Climate Change, an audience member asked a Maasi woman during a question and answer, If drought is causing your cattle to die and people to starve, why do you keep having babies? I felt as though someone punched me in the heart. But she was so elegantly composed and simply said because she did not want to see the end of her culture. To be clear I am not religious but I think religious tolerance and even choosing from the sensible, compassionate parts helped us evolve culture. The distorted and literalist use of religion is heinous. I believe, as a citizen, in the right of civil disobedience and the practicing of non-violence and believe it or not, these are dangerous and radical ideas. Yet it is our constitution, laws that are just and our military that insures this privilege. I also believe that all life is sacred (maybe to the point where as Allen Ginsburg says in A Footnote to Howl “Everything is holy!”) as we are integrally linked to everything within this global sphere. Even to the historical past and what can only be imagined as The Future. There’s a lot of relief having the moral dimension of climate change expressed in Pope Francis’ Encyclical Laudato Si’, even though he would never change the dogma of birth control or that the religion sees abortion as infanticide. But his off the cuff comment that Catholics don’t have to breed “like rabbits” and should practice responsible parenting is worth acknowledging. (A fair number of US Catholic women do practice birth-control). When I was young and most environmentalists thought population was the overriding environmental issue of the day (around when the first announcements from scientists emerged about a greenhouse effect incidentally) I had attended a lecture from Buckminster Fuller. Bucky endured a lot of controversy for being a (brilliant) eccentric utopian and seeing technology and social science as the way to a human habitable “Spaceship Earth”. He said, “Population isn’t the problem. Productivity is.” That, instead of welfare idled people can earn a subsistence tackling some big problem. 1 in a 100 would have worthwhile idea! The irony is that today we are at the point where a lot of people think technology will save us. Or at least hope so. The fossil fuel age changed many predictions. Nuclear energy is anathema to most environmental activists but that may be the world’s response to the climate crisis. I don’t have to like it. Again, I apologize for such a ponderous reply but I am grateful that you took the time to ask. It is a very important consideration. It’s been a long time since I wrote a post and WordPress has been an amazing and rare place for healthy discourse. There aren’t many places where people really do challenge their own thinking. A very thoughtful and well-written response. A few further comments come to my mind. As you note, humanity has repeatedly incurred self-inflicted population reductions through warfare, starvation, and other egregious means. And, of course, I would not advocate that sort of effort. However, I do believe that if women are truly given a choice in the matter, they tend to not have children by the litter. Note the diminishing birthrate in regions where females govern the capacity of their reproductive systems. As you also note, it is the “developed” and/or “industrialized” countries which consume a disproportionate share of the world’s resources often times at the expense of impoverished populations/regions. At the same time, it tends to be those same countries that contribute significantly to carbon releases. So to me, it seems that some sort of marriage between a gradual human population reduction in concert with a lessening of consumption would be appropriate. To some extent that’s about as far as my inadequate brain can reach. 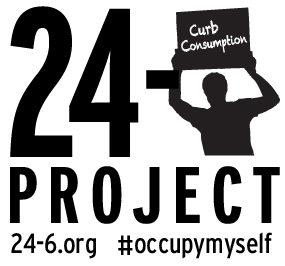 However, I do like the concept of 24/6 and believe it to be at least a nudge in a good direction. Lastly, a way of living that I saw of an Amazon tribe has stuck in my mind as a model for all of us to consider. This particular tribe lived in an area where a fruit tree grew that was highly valued as a food source. Apparently, the tree was somewhat scarce. If an individual of that tribe discovered a ‘new’ tree, it “belonged” to that particular person. That meant, it was up to that specific human to climb the tree and gather the fruit and no one else could do so without that person’s permission. But here’s the kicker: every tree owner shared all of the fruit with the rest of the tribe members. Something to consider in our capitalistic, land owning, consumer-oriented society. Thank you Doug. Enjoying the discovery of your stories and appreciate your thoughts. Glad to have discovered your blog, Steve.